VENEZUELA - LRFD steel design code. 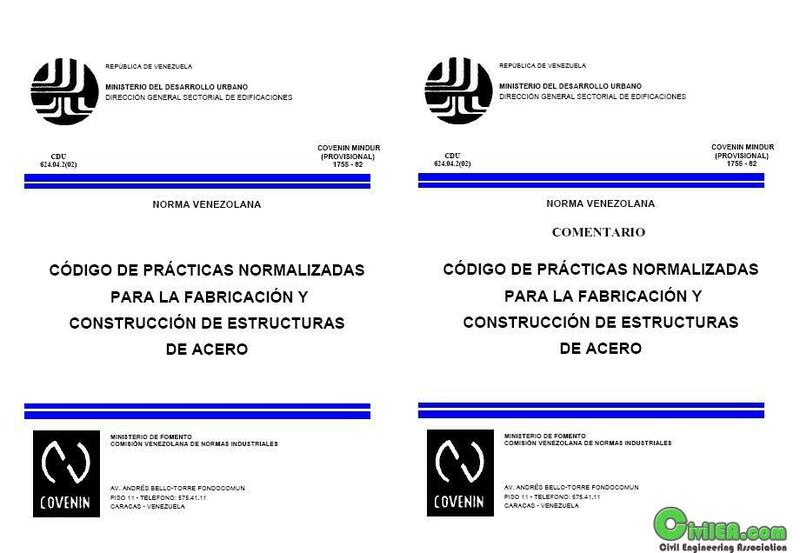 This Standard provides the criteria and minimum requirements for the design, manufacture, assembly, construction, inspection and maintenance of steel structures and steel composite structures - concrete buildings, as well as that of its members, components, joints and connections, which are planned or implemented in the country, and be applied in conjunction with the Venezuelan Standards and COVENIN -MINDUR. 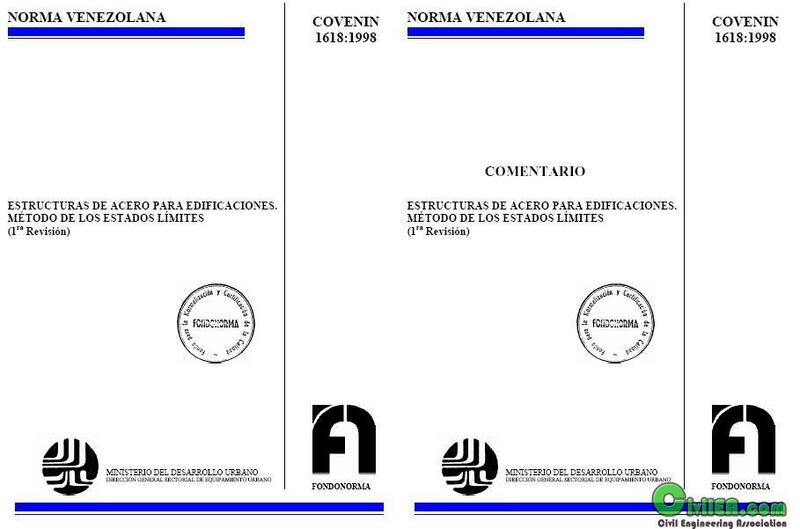 This standard applies to both new buildings and the evaluation, adaptation, rehabilitation, strengthening or repair of existing buildings that meet the requirements of Venezuelan COVENIN - Building Seismic MINDUR 1756-1998. Temporary or interim work must also comply with the provisions of this standard. Excluding the domain of application of this Standard: hollow sections, cold formed profiles and open web joists (joists), which are governed by specific rules. See transitional provisions. The term structural steel used in this Standard refers to any member or element described in the contract documents as such and / or the need for strength and stability of the structure. These members and structural steel elements are listed in general terms in COVENIN - Standardized MINDUR 1755 Code for the Construction and Steel Structures practices. The notation used in this standard essentially corresponds to that contained in the Standards of the American Institute of Steel Construction, AISC, especially AISC-LRFD 1993 standard. The system corresponds to MKS units: meter (m), Kilogram force (kgf), Second (s).